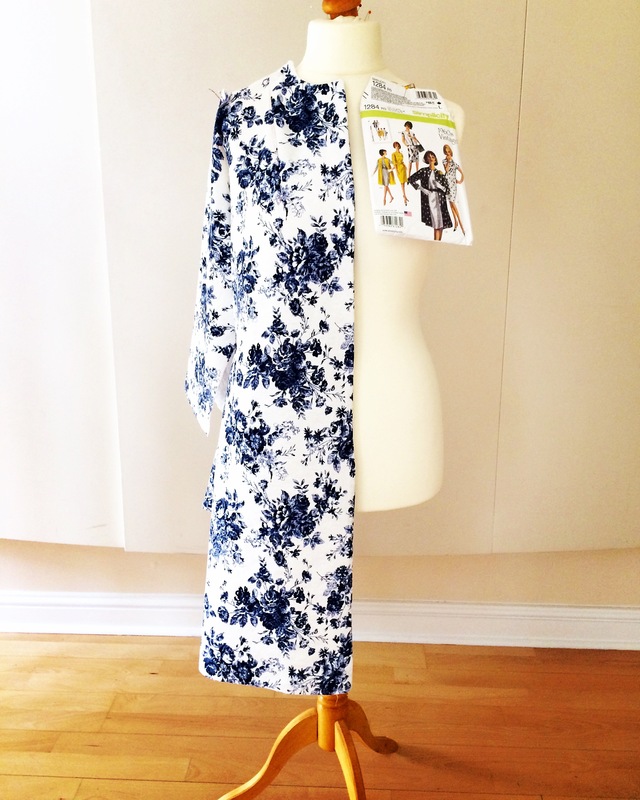 I don’t often make clothes from vintage patterns, but I do have a soft spot for duster coats and 1960s fashion, so this Simplicity 1284 was ideal. I found it really easy to both cut and sew, even with the slight stretch. I love a duster coat as it an alternative to cardigans and it means that the warmer months are on their way. I even found matching sunglasses…already for a summer dinner date. 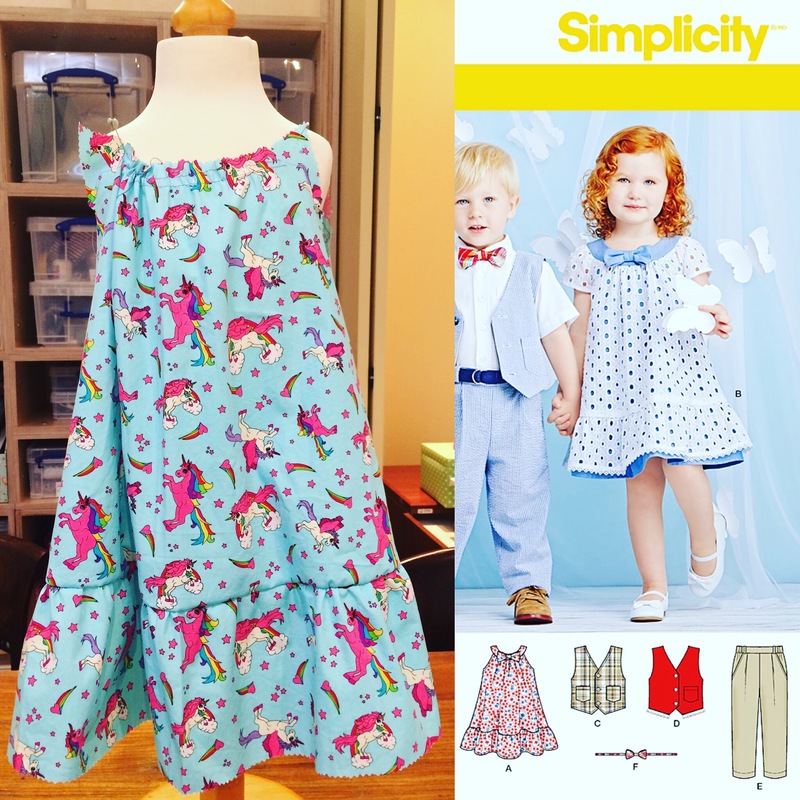 I finished my working toile for the Simplicity Sewing Challenge 2016 using the Simplicity 1206. I decided not to make it up in the fabric I had in mind as I’m keeping it for Littles Ones 5th Birthday dress (See my other posts about the birthday dresses I make her) Its a hand embellished ribbon sewn on to a voile and its going to be perfect for the birthday dress big project. This fabric is from the fabulous Fabric Land Brighton branch. The Little One choose it herself and loves wearing it. I made a matching shoulder purse for her (not pictured). I found it quite straight forward, until I got to the yoke and sleeves which were a bit fiddly, as if you didn’t get the gathering right the armholes could end up to big. I would make this again, with the overlay this time. Just need to find the right fabric for it. 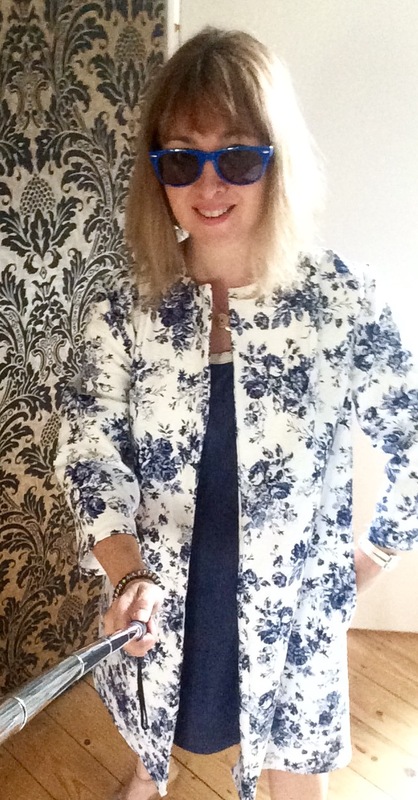 I have had this pattern for a while when I found this fabric at the fantastic <a href="http://www actos medication.farbicsgalore.co.uk”>http://www.farbicsgalore.co.uk on Lavender Hill, near Clapham, London. 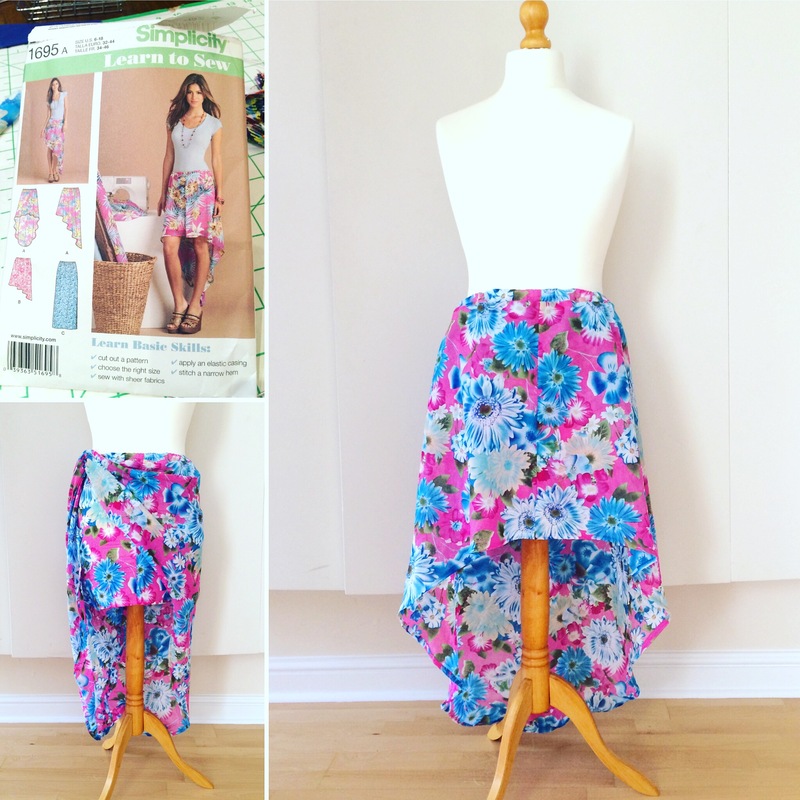 Some times when I buy a pattern I can only see it being made in the fabric in the photo, and this Simplicity 1695 was no exception! What surprised me about this pattern, was the underskirt, as its not marked on the pattern envelope front or back!! Its not till you start reading the instruction you find its there. Actually had I know it was there I would have made the skirt before now as I had it in my head that it was only suitable for beach wear in such a floaty see through fabric. When I cut it out I forgot to cut 2 of the underskirt so had to put a medium large split at the back of it so that I could walk! I had used the rest of the fabric to make a halter neck top the year before, so need to take drastic action. 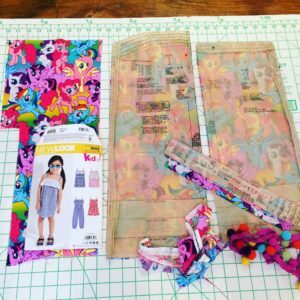 Sadly the free pattern that I used from a leading sewing magazine had not been drafted well…unless you had a child size neck on an adult body. Anyway I am now self drafting a new halter neck top for next year to wear with it. I am also going to try making it again with some gorgeous black silk, with torn bits effect (sorry no idea what the technical term is for that) from Jigsaw, for a christmas party skirt, maybe even make a strapless bodice with it.